A common problem in older homes is that the doors just don't close very well. This can happen for several reasons, the most common being paint build up throughout the years. This guide will show you how to fix that problem. A door buck sits on the ground and has a groove for your door to slide in so you have access to the edges. If you're going to be doing 10+ doors, you should take your time building two that will last. I had 3 doors so I built a single buck to be discarded later. It was very simple, using the materials I had lying around. Does the door hit the ground as it's closing? 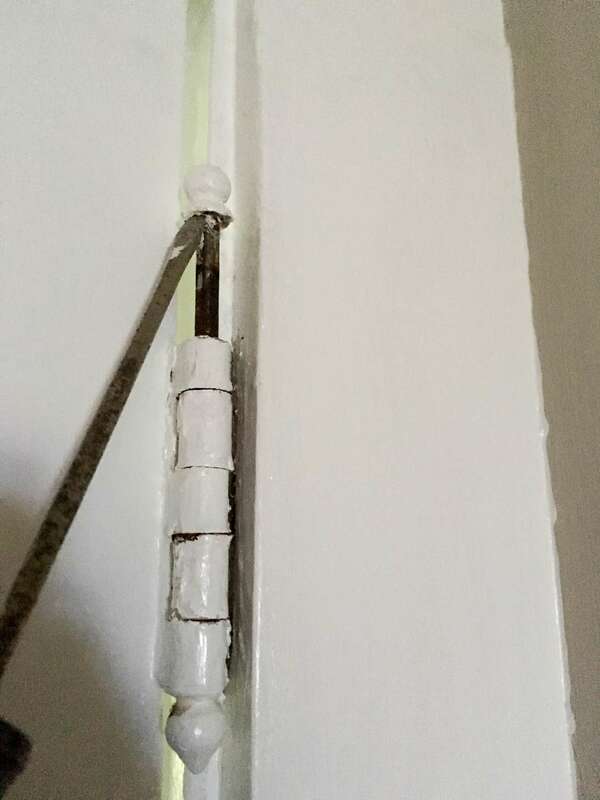 Is the gap between the door jamb less in certain areas? Keep mental notes of these things so you have an idea how much to adjust later. 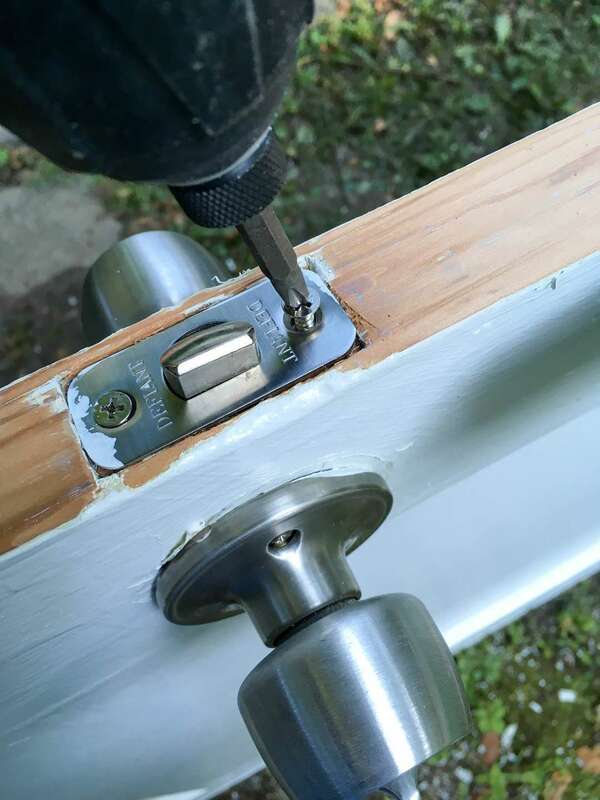 Most hinges look like this. 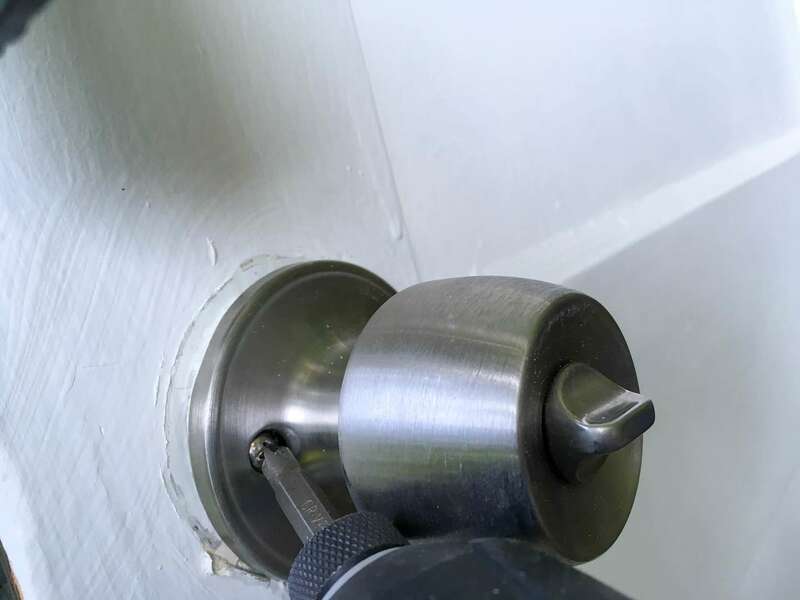 Tapping or beating upward on the pin will remove it from the hinge. Don't forget to test for lead and plan accordingly. 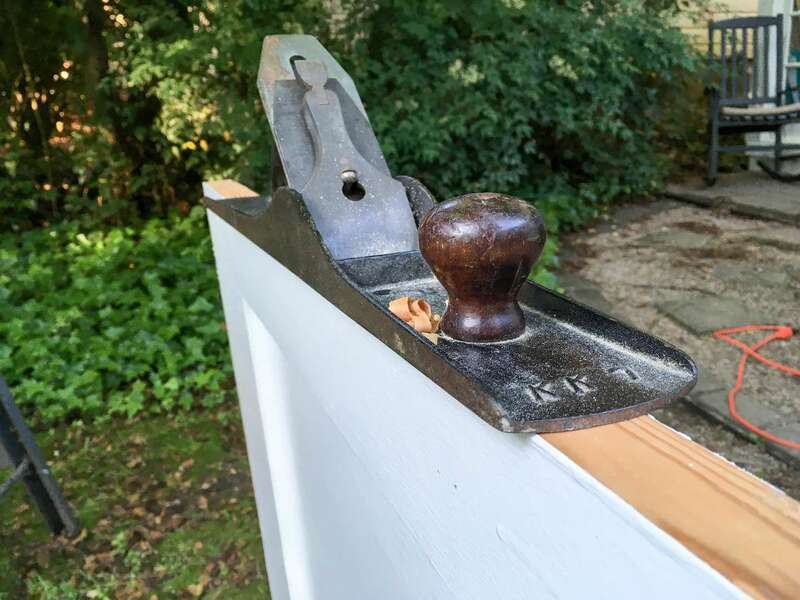 If you're not familiar with hand planes, the concept is to take off small shavings of wood from the door. 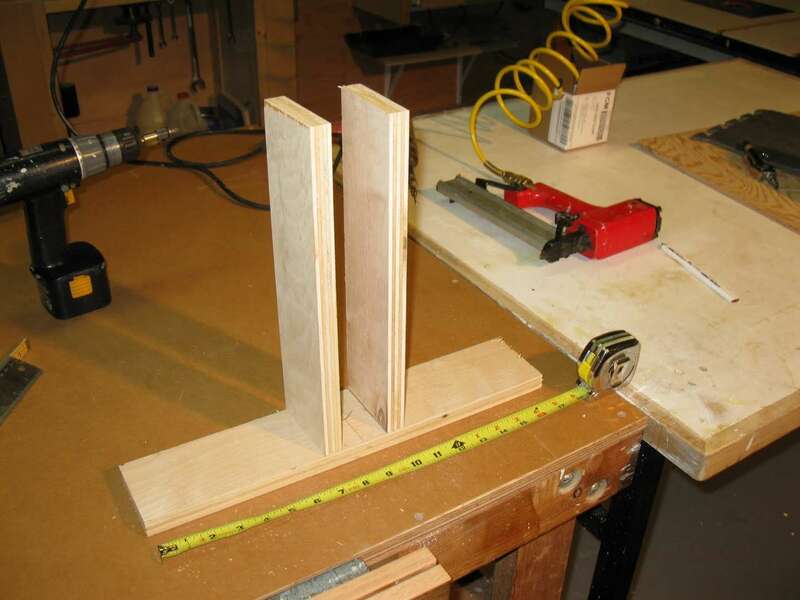 This could also be accomplished with an electric hand planer or lots and lots of sanding. I mostly did this by feel and probably ended up removing 1/16". 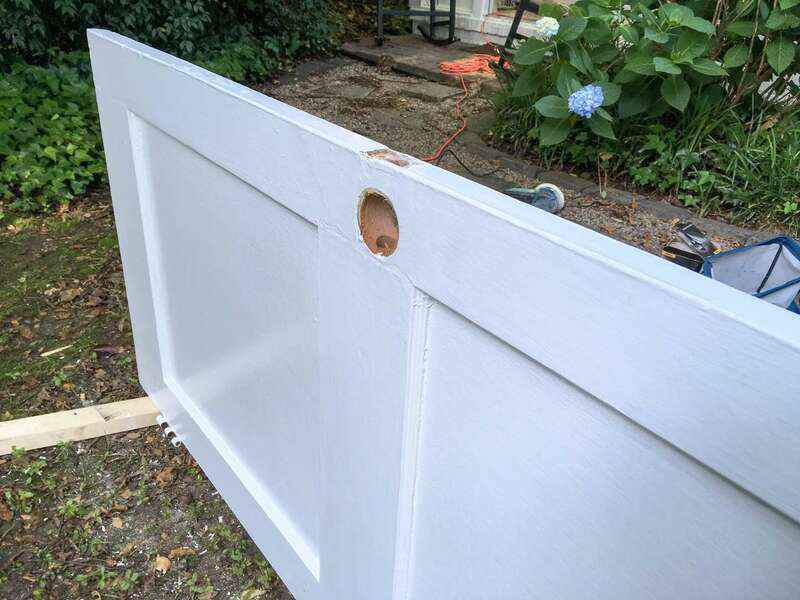 Remember that most doors have a slight inward angle cut on them so the outside corner does not catch on the jamb as you close it. 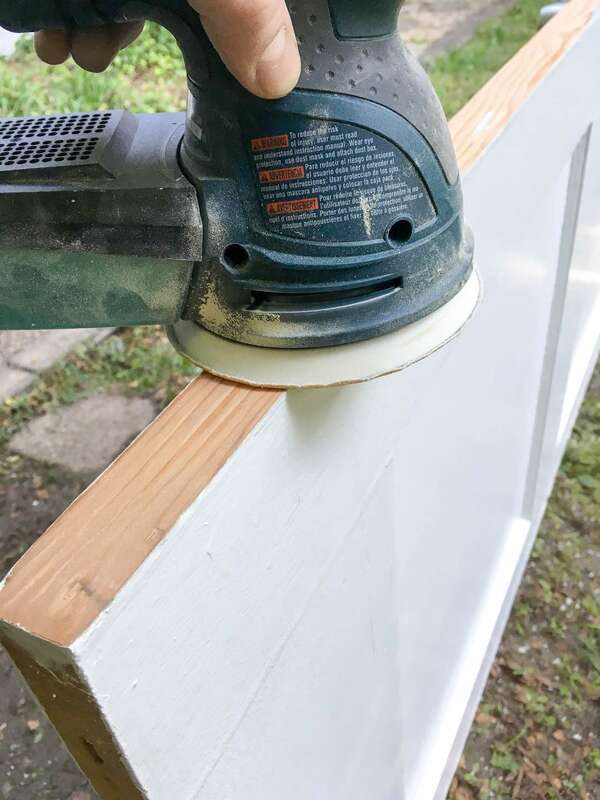 Just make sure to remove material evenly and it should still be there when you're done. 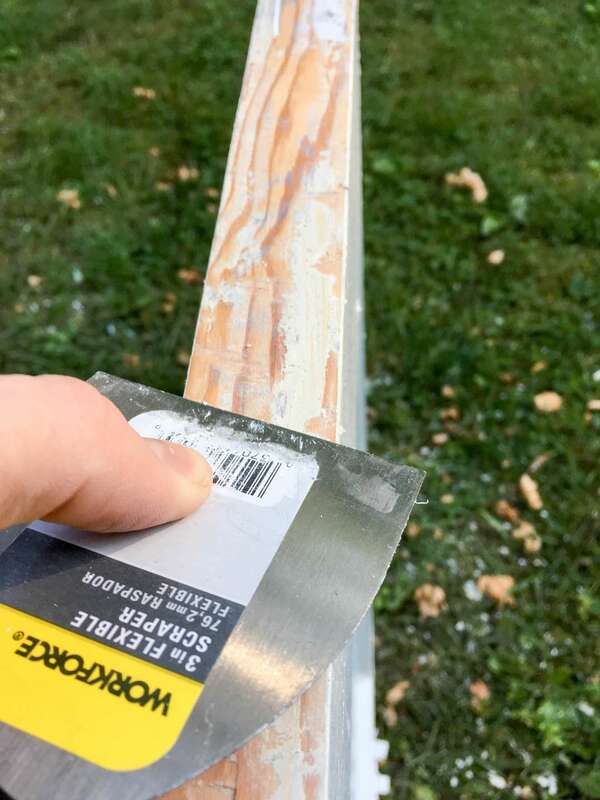 To make sure no spots were missed and to smooth over hard edges, sand the edge of the door. Think about which edges of the door touch the door jamb and would impede the closing of the door. You'll be touching up the paint later so go crazy! The same way you removed it, set it in the hinges and slide the pins in. It's a good idea to just push them in by hand to check the door first before you go lodging the pins all the way in. I had to take 2 out of 3 of my doors back outside for more adjustments. Maybe the door itself closes now but the strike and latch don't line up or maybe the door binds at the hinge side. These are usually remedied by minor adjustments in the hardware rather than a whole reinstall. These topics will be covered in future guides. While expecting a baby, my wife was hesitant about stairs. I said, "oh, the baby will be fine." Now that she's crawling around and climbing on everything, I'm the one worrying. This project is going to be a work in progress, and I will add pictures as I go. My wife and I bought a home recently, and a few things needed to be updated. Since our country was conceived, the U.S. Flag has been a symbol of our country's freedom. Our country's Flag Code provides specific guidelines for how to "retire" a damaged or worn-out American flag.